Handheld Group, a leading manufacturer of rugged mobile computers, today announced the new NAUTIZ X6 - an ultra-rugged phablet-phone plus tablet- that combines the big-screen functionality of a tablet with the go-anywhere performance of a rugged phone. 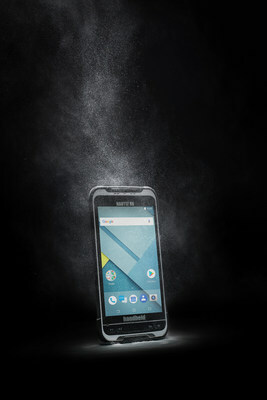 The new Nautiz X6 Android phablet is ideal for industrial and field applications, with the reliability to perform in challenging conditions, and specialized accessories professional users require. With the MaxGo Android software suite, an IP67 rating and a lightweight, ultra-mobile design, the Nautiz X6 delivers a trailblazing combination of practicality and productivity. An 8-core processor and Android 8.0 (Oreo) operating system. The Nautiz X6 comes with Handheld's proprietary MaxGo software suite for Android and meets the needs of businesses with teams of workers in the field. MaxGo quickly applies universal settings to multiple devices, and also allows custom application access for more efficient and safe use of the device. The Nautiz X6 is designed for use in the most challenging outdoor and industrial environments. This rugged phablet is MIL-STD-810G tested for drops, vibrations, humidity, extreme temperatures and varying altitudes. And the 8000 mAh battery will run for a full shift and beyond, even with heavy use. "With its combination of military-level ruggedness, IP67 rating and wide range of operating temperatures, the Nautiz X6 is exactly the rugged device our customers have been asking for," says Johan Hed, Handheld Group director of product management. "The key to being a rugged handheld leader is listening to what customers really want. They've asked for an ultra-rugged phablet, and with the Nautiz X6 we're delivering the form factor and performance they're looking for." Join the in-depth webinar introducing the Nautiz X6 phablet. Register here. Nautiz X6 orders can be placed immediately for shipment in February.